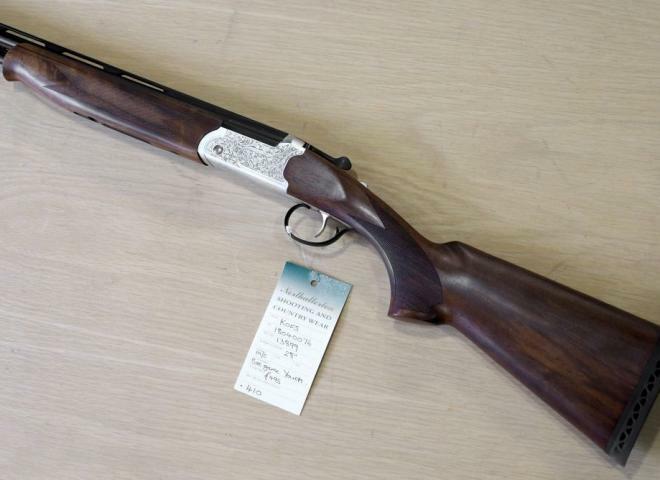 Junior stocked at 13.5" with a superb piece of walnut, rubber recoil pad, single trigger ejector, amazing value for money. 28 gauge shotgun fitted with a youths/ladies size stock,single trigger ejector,multi-choke excellent value for money. FANTASTIC LITTLE GUN FOR THE MONEY. LIGHTWEIGHT ACTION AND SHORTENED STOCK MAKES IT IDEAL FOR YOUNGSTERS OR PETITE PEOPLE. COMES WITH 5 FLUSH CHOKES AND KEY. A New Kofs 20b with 28" barrels. We also have a junior stock version available. Please call to discuss. Very attractive, nicely figured walnut with scroll engraved receiver. RFD to RFD services available. Excellent value Entry level over and under with lovely wood and set of 5 multi-chokes, A Brilliant first gun! A new Kofs .410. This gun also has a junior stock option available. Light weight game gun with beautiful stock and forend, manual safety catch, 3" magnum and super steel proofed, amazing value for money. 20 bore game gun with 30" barrels ,3" magnum,single selective trigger multi choke all for under £500-00 a cracking buy. CAN'T BEAT THIS FOR QUALITY OR PRICE. DBHE OU 12 bore Kofs Sceptre SXE Game over & under ejector shotgun for sale. DBHE OU 20 bore Kofs Sceptre SXE Game over & under ejector shotgun for sale. Superb condition, 3" magnum and super steel proofed, Single selective trigger, ejector.